In a spin-off (rip-off?) of the wonderful Joe Blogs' "Signs of Life" I had to post a great sign that I noticed a couple of weekends ago in Brighton. 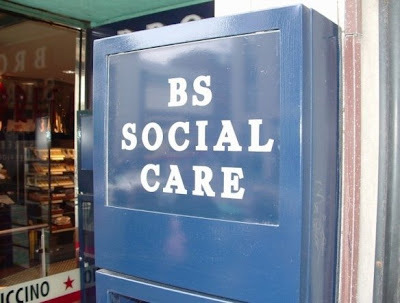 BS Social Care - Indeed! A quick Google search finds that the BS actually stands for Brook Street. However, when it comes to a lot of social care, I'm sure it doesn't!